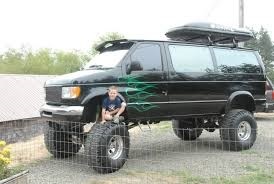 Have a van converted to 4X4. You can get a Ford Transit and have it converted for less than a Sprinter conversion. Plus the Transit is a more reliable vehicle with far cheaper repairs that can be performed in more shops and dealerships, than a more specialized repair facility that the Sprinter requires. The 3.5L Eco Boost has been proven. Do you *really* need 4x4? For the twice a year you might need better traction tire chains happen to work excellent. You will get better gas mileage without 4x4, a higher tow and capacity rating, along with lower maintenance costs. Another option is a second set of wheels and tires with snow tires, as they do make a big difference. You would have another $10,000 dollars in your pocket too. Last edited by Peter_C; 06-20-2018 at 11:35 PM. You don't have much new product support for Quigley here, and they are back ordered a long time on the Transits. You ever price out getting a Unicat to north america? 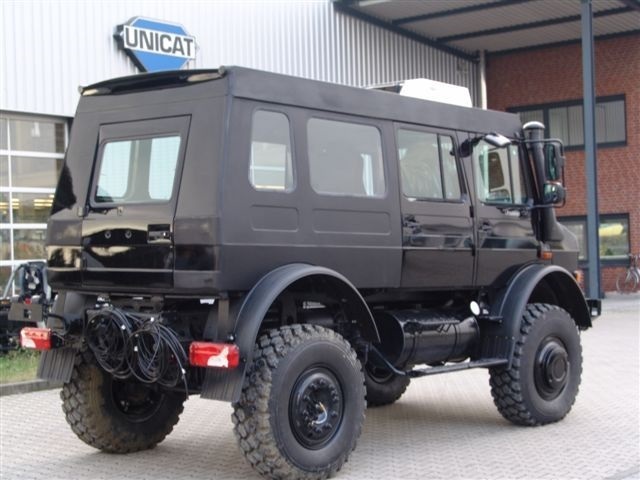 As cool as unimogs are, they are rare here, have fixed 4x4 with 3 locking diffs, air brakes which I'd have to get licensed for....oh and cost an absolute fortune. I haven't owned a 2 wheel drive vehicle in over a decade. Won't ever own one again either. had a heavy snow in Delaware in 2014 and had new tires Michelin LTX tires on my Sprinter and couldn't get over how well it drove. I was passing the snow plows and staying on the road with ease. It's all in the electronics. if you're looking to special order a 4x4, I hear there's a long wait. Think they're only importing v6's into the states, not sure if you guys up north can get the 4 cylinders or not, but that's what I would choose. I'm closing in on 178,000 miles and other than a hiccup in the transmission, the engine has been great. Haven't even modified it, although there are company's that can do so to get rid of the items that decrease the reliability. I'm sure the 2wd would be fine... But I don't respond well to logic or reason when my mind is made up. Inner, I thought you just bought a Dodge with the Cummins like a year ago. Buy a Ford Transit, set it up how you want and schedule it in for the conversion. When the time comes empty your tools and ship it to the installer when you are scheduled. You can get the van fairly quickly if not immediately, then use it until you need to ship it. You will pay the extra shipping to said location, but it would have to be shipped back to you anyhow. Even a Sprinter isn't going to be an immediate purchase. I used to be for Sprinters, but after thoroughly investigating them vs the Ford's I came to realize the Ford IS a superior vehicle. Someone I know sold his highly customized Sprinter with about 35K miles to buy a Transit. He didn't trust the Sprinter after breaking down in remote places with zero service centers available. Yeah I did, I may keep it.